Monogram is honored to be a sponsor for the 2017 Designer Bloggers Conference March 5-7 at The Beverly Hilton. This is the premier event for interior design bloggers and writers from around the U.S., allowing them to come together and learn from some of the world’s best thinkers, influencers and brands. While sophisticated styling and exceptional craftsmanship set Monogram apart from all other appliance brands, an unrivaled commitment to innovation is always at the forefront of product development. As a result, every new Monogram model launching in 2017 will be a WiFi Connect appliance. That means consumers will be able to preheat ovens, check a status, reorder dish detergent and more by using the Monogram App or with voice commands, since WiFi Connect products also work with Amazon Alexa. 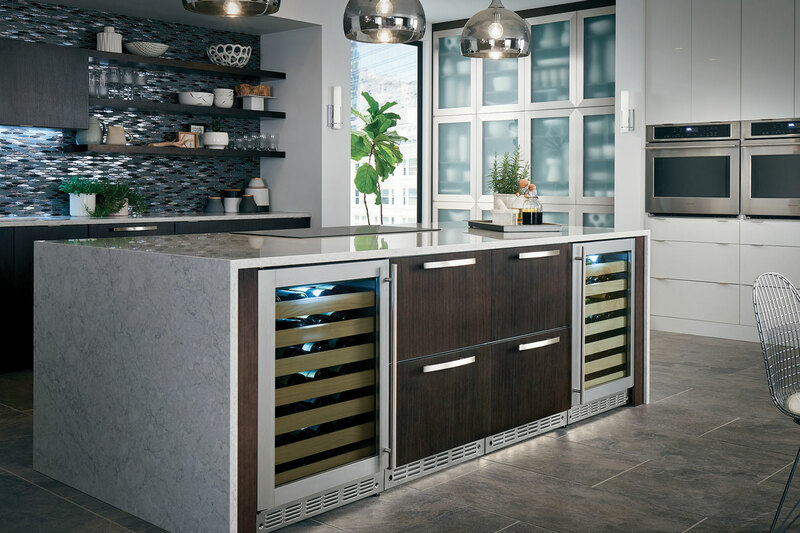 At the Designer Bloggers Conference, we will introduce the latest creation from the Industrial Design Organization (IDO) at Appliance Park in Louisville, Kentucky—a fully functioning kitchen of the future built on the concepts of ambient technology and healthy living. From touch screens that deliver step-by-step recipes to countertop herb gardens grown by LED lights, this compact kitchen represents the exploration of how high-tech design can create a healthier lifestyle. IDO Designer Maggie Bellinger—the mind behind the kitchen—will be on hand to answer questions. Plus, we’re going to be giving away chances to win some fabulous prizes, including a chance to win a trip to the Monogram Experience Center and an exclusive, behind-the-scenes look at the IDO. Sweepstakes limited to legal residents of 50 US/DC, 18 years or older. Complete Official Rules available at the Monogram display. If you’re going to the conference, be sure to stop by the Monogram display at the Networking Reception from 5:30-8:00 pm on Monday, March 6, and all throughout the conference. And as always, make sure you’re registered to receive Save Room for Design blog updates directly in your inbox.